Two at the National Museum of the US Air Force – Bethany spoke to the staff and volunteers at the museum, and nobody had any recollection of the benches. 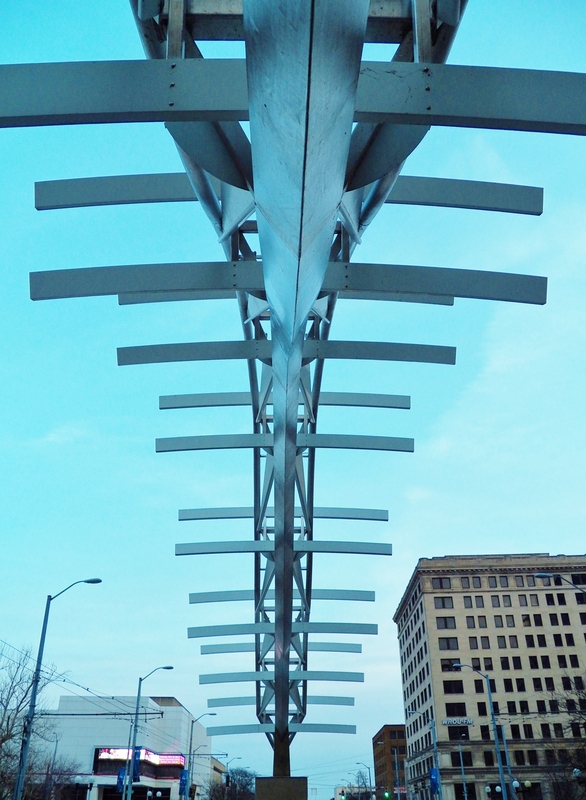 Black also designed the Flyover sculpture in the median of Main Street, just north of 5th Street. The design is a representation of the Wright Brother’s 120 feet, 12 second flight in Kitty Hawk, North Carolina on December 17th, 1903. Has anyone seen any of these benches at any locations other than where we found them? We would love to locate all nine of them! The Yellow Springs Street Fair is Tomorrow!